If you’re considering visiting an orthodontist to improve your smile, you may be wondering what options you have for treatment, and how each one benefits your smile and lifestyle. For patients in Oak Park, Hinsdale, Buffalo Grove, Westmont, Morton Grove, Darien, and Willowbrook, Illinois, Dr. Isaac Yue and the Willowbrook Orthodontics will make sure you are informed and confident about your treatment decisions. Choosing your perfect plan includes a comprehensive exam to identify your needs, and you can learn about several of our options below. Begin thinking about which treatment best fits your lifestyle, and Dr. Yue will determine the best plan for your smile! Self-ligating braces are very similar to traditional braces, but with a few key improvements that can make them more comfortable for you, and less noticeable to the people around you! They are called self-ligating because the brackets allow the wire to slide beck and forth thanks to a specially designed door. This eliminates the need for bands and ties, which typically cause friction, generally making them more comfortable to wear. Because the brackets can move freely along the wire, adjustments can be made less frequently, leading to shorter treatment times. Clear, self-ligating braces brackets are also available making them nearly invisible to others. Be sure to ask Dr. Yue if self-ligating braces are right for you, and you could be on your way to a beautiful smile in less time than you ever thought possible! 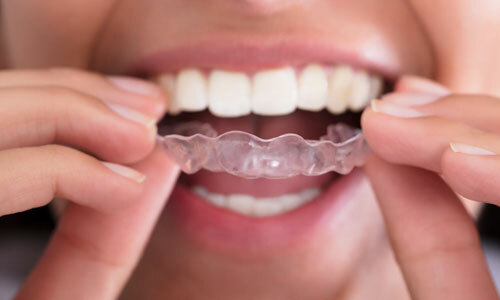 Taking a brand new approach to orthodontic treatment, Lingual braces are a great option for anyone who is hoping for straight teeth but is worried about the aesthetic impact of traditional or clear braces. Using custom brackets built specifically for each patient, Dr. Yue places brackets on the inside of each tooth and adds a specially shaped wire to shape your smile. 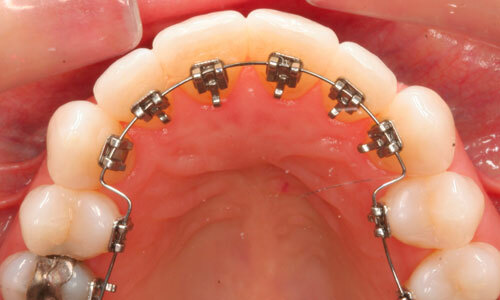 Until now, braces had to be installed, aligned, and adjusted by hand based on the doctor’s best judgment. Dr. Yue has become particularly good at predicting the movement of even the most challenging bite profiles, but he now has the power of a supercomputer to back him up! 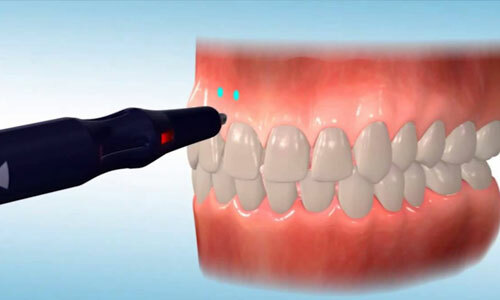 Using the Insignia software, Dr. Yue will create a perfect 3D model of your mouth as it looks now, and then digitally move your teeth into their ideal positions. The computer will then calculate exactly where the brackets and wires should be placed and how they should be shaped to achieve this change most efficiently. Each bracket is then designed and manufactured to fit perfectly in place, and the wires are shaped to move your teeth quickly and comfortably. Once the brackets are ready, Dr. Yue uses a special jig to position the brackets perfectly on your teeth, where they can be attached without any guesswork. 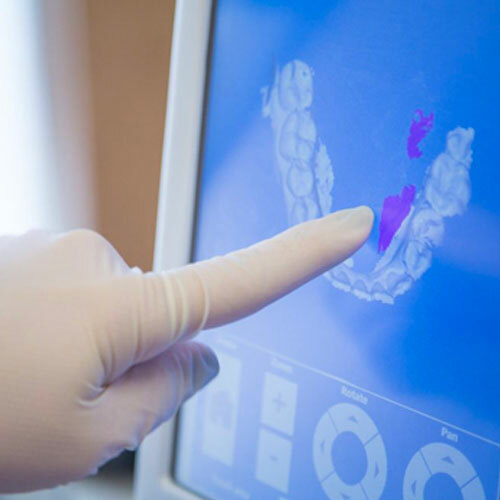 Knowing that you have both an expert orthodontic specialist as well as an incredibly advanced computer system on your side, you can feel even more confident about your teeth. You won’t have to wait long to see it, either; Insignia is reducing patients care duration by several months in some cases! 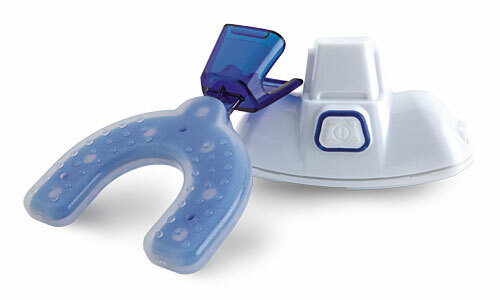 AcceleDent and VPro5 utilizes a mouthpiece that distributes gentle vibratory technology to accelerate the tooth movement. The calibrated micro-pulses are strong enough to speed up tooth movement, but gentle enough that you’ll barely know you’re using it. You use the AcceleDent mouthpiece for 20 minutes a day while VPro5 claims only five minutes are necessary to speed up your treatment. 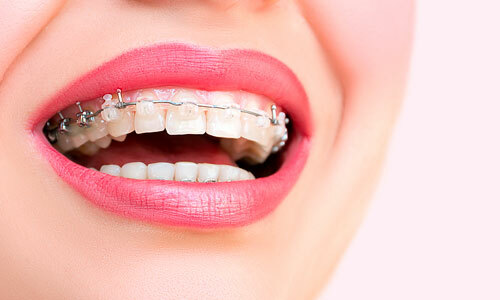 Accelerated orthodontics is a great option because they can be used with any type of braces. Whether you choose standard metal, clear braces, or Invisalign, AcceleDent and Propel can have you seeing your new smile faster than ever. 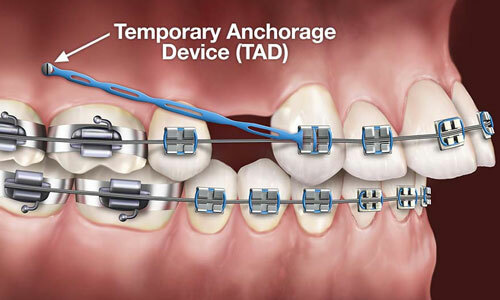 Essentially, TADS are small, screw-like dental implants made of a titanium alloy. As the name implies, they’re temporary — they usually remain in place during some months of treatment, and then they are removed. Their function is to provide a stable anchorage — that is, a fixed point around which other things (namely, teeth) can be moved. Moving teeth in the jaw has been compared to moving a stick through the sand. With the application of force, sand moves aside in front of the stick, and fills up the space behind. The “sand” in this case consists of bone cells and cells of the periodontal ligament, which attaches the tooth to the bone. These tissues slowly move aside and reform as force is applied to them by orthodontic appliances. I love coming to Dr. Yue!! All the staff is awesome. Ewa, Olga , Belinda and the staff is always so nice and very welcoming.